Scott Onak hosts authors Brock Clarke and Miriam Toews in literary conversation as they discuss their newest books, The happiest people in the world and All My Puny Sorrows. Scott Onak received his MFA in Fiction from the University of Idaho. His stories have been published in Mid-American Review and Willow Springs, and his book reviews appear on The Rumpus. 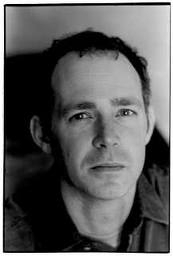 He teaches creative writing at StoryStudio Chicago and the University of Chicago Graham School of Continuing Studies. A master of sharp, insightful satire, Brock Clarke's new novel takes a decidedly subversive look at American culture while pushing the limits of the absurd and hilarious. Take the format of a spy thriller, shape it around real-life incidents involving international terrorism, leaven it with dark, dry humor, toss in a love rectangle, give everybody a gun, and let everything play out in the outer reaches of upstate New York – there you have an idea of The happiest people in the world. Miriam Toews is a Canadian writer of Mennonite descent. She grew up in Steinbach, Manitoba and has lived in Montreal and London, before settling in Winnipeg, Manitoba. In 2007 she made her screen debut in the Mexican film "Luz silenciosa" directed by Carlos Reygadas, which screened at the Cannes Film Festival. The book, Irma Voth, was released in April 2011. Her latest book, All My Puny Sorrows, comes out in the US on Nov 18 (so get it early, tonight!). “This novel, good lord, is his best one yet. Brock Clarke portrays, with terrifying accuracy, the lives of people who constantly ruin things without ever quite understanding why or how, which eventually gives way to a strange kind of invulnerability. There is no writer who does this better than he does, creating that wonderful mixture of unexpected, sharp comedy and genuine empathy. The Danes may be The happiest people in the world, but you can easily join those ranks simply by reading this amazing book.” -Kevin Wilson, author of The Family Fang “Brock Clarke’s hilarious new novel starts out in rural Denmark, then takes us someplace really foreign and utterly weird: upstate New York. The parallel universe Clarke creates there is both our world and not, and like his baffled, yearning characters, we navigate it with surprise and wonder.” -Richard Russo, author of Elsewhere Brock Clarke is the author of Exley and An Arsonist’s Guide to Writers’ Homes in New England, which was a national bestseller and has appeared in a dozen foreign editions, and three other books. He lives in Portland, Maine, and teaches creative writing at Bowdoin College. Join us for a reading with one of our favorite Maine literary talents , ask your questions and get your books signed! Brock Clarke reads from Exley. Brock Clarke signs An Arsonist's Guide to Writers' Homes in New England: A Novel. Brock Clarke will read from and sign copies of his marvelously titled novel, An Arsonist's Guide to Writers' Homes in New England (now available in paperback). Brock Clarke reads from An Arsonist's Guide to Writers' Homes in New England: A Novel. 5:20 - 6:00 p.m. – Our Young Docents offer thorough (and often thoroughly hilarious) guided tours of Thurber House. 6:15 p.m. – Picnicking begins! Guests are welcome to pack their own picnic, or order one of our festive dinners, featuring the culinary delights of Party Panache. Don't forget to bring your lawn chairs or blankets. Alcoholic beverages are permitted. Brock Clarke , An Arsonist's Guide to Writers' Homes in New England: A Novel. Brock Clarke's book The Happiest People in the World was available from LibraryThing Early Reviewers. Brock Clarke's book The Happiest People in the World was available from LibraryThing Member Giveaway. Brock Clarke is currently considered a "single author." If one or more works are by a distinct, homonymous authors, go ahead and split the author. Brock Clarke is composed of 4 names. You can examine and separate out names.